All ISUP’s come with a hand pump. Some are better than others but in general they work quite well. It will take some effort to inflate your board to 15 PSI with the hand pump but it is totally doable. I find that inflating one board with the manual pump is no big deal but if you need to inflate two or more manually it gets tough. 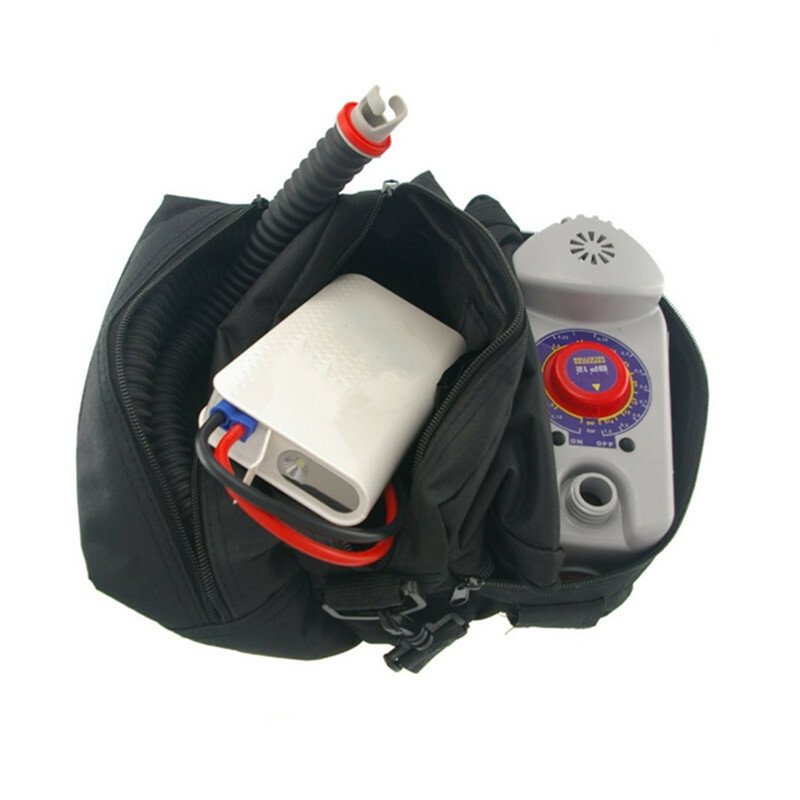 If you want to eliminate the sweaty work of pumping by hand then you will need an electric pump. I have tried many different pumps out there including other types of manual pumps, electric pumps, air compressors, etc. You name it I have likely tried it. None of the pumps are perfect but this one is my fave. The Single-Stage Pump is slightly smaller and weighs only 2.6 lbs. It comes in a carry case that stores the pump, the hose, the alligator clips and the valve attachments. It is super portable. When you attach the high-pressure piston pump to the valve on your paddle board then set the PSI level on the pump, you can then stand back and just let it do its thing. It will stop automatically when it reaches the desired PSI level. The valve attachments will work with all inflatable SUP’s that have a Halkey-Roberts style valve… Which from what I have seen is pretty well all ISUP’s. The pump will not only inflate your board but it also has a deflate function. I never use it to deflate my SUP but it is a great option if you want to use it. The PSI level can be set from 1 to 14.5 PSI. Most solo inflatable SUP’s recommend an air pressure of 12 – 15 PSI. This pump has always gotten my boards very rigid but if you have a board that requires more air pressure you could always top it off with the hand pump. It comes with alligator clips that you can attach to your car battery and is very simple to use. It takes approximately 6-7 minutes to inflate an ISUP depending on the size of the board. In truth you can inflate your board with the manual hand pump in the same amount of time but it will take a lot more effort. Any type of electric pump is going to produce some noise and this one is no different. It is a little noisy but the powerful ones always are. I wouldn’t worry about the noise, it is to be expected. The AWD-BP12B is come with a rechargeable battery pack. The battery pack is great if you need to inflate your board away from your car.